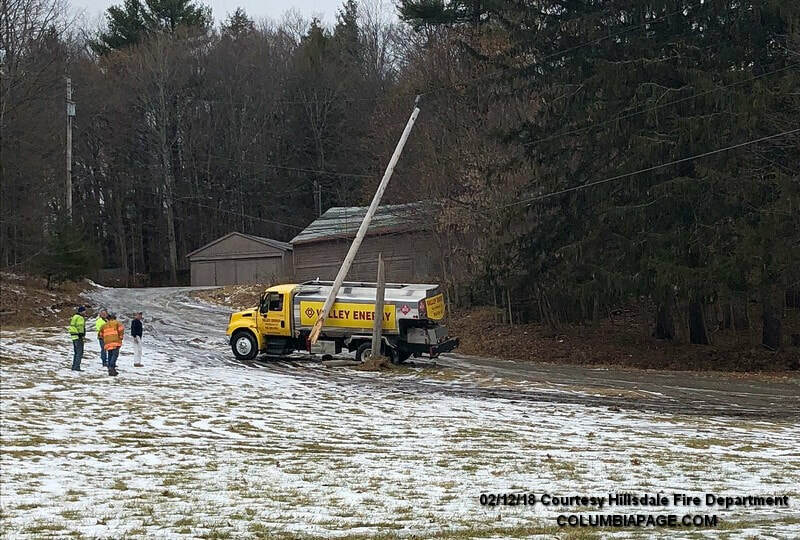 Columbia County 911 dispatched the Hillsdale Fire Department and Community Rescue at 10:20am for a report of a fuel truck that struck a utility pole. The incident occurred by the Hillsdale Garden Apartments located at 9601 Route 22 in the Town of Hillsdale. Command requested New York State Electric & Gas and a representative from Valley Energy to the scene. Community Rescue reported that one subject refused medical attention. Firefighters were back in service at 11:52am.